When considering a Polymer Panel kit there is several factors that need to be taken into account before purchase. Most polymer panel kits require you to purchase other components such as pipe work, filtration equipment, liner and heating, with a Thermapool everything is included in your kit, saving you time and money when trying to source equipment from different suppliers. Thermapool panel pool kits are fully insulated, Polymer panels need bracing, and insulation is unable to be placed in these areas, Thermapool gives a continuous Thermal solution, No breaks, No gaps and definitely No areas of heat loss. Due to our unique panel system the Thermapool panel kit is easier and quicker to install, No need to purchase separate insulation, no need to lengthen pool build time, the price of a Thermapool Panel pool kit comes complete with full insulation, saving you money from the moment of purchase. When insulating a Polymer Panel Pool the insulation is placed on the outside of the swimming pool, our research with The Building Research Establishment (BRE) has proven that insulation placed on the inside saves 86% in comparison to only 41% on the outside; saving you more than half on heating costs. Everything is covered with our Thermapool 25 year guarantee, giving you peace of mind on the whole pool kit. 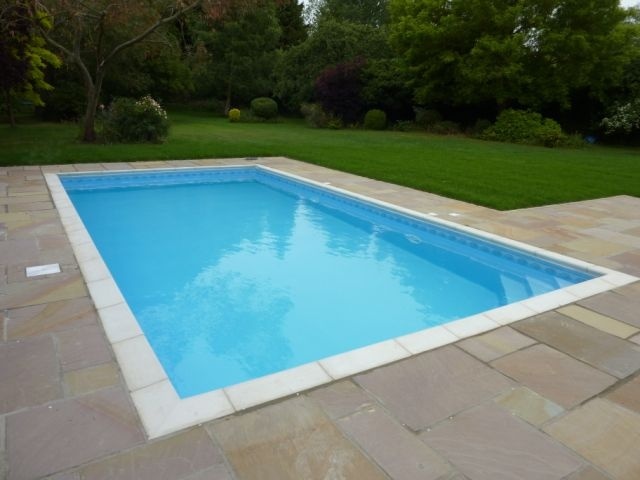 Depending on your swimming and leisure needs, garden layout and budget, Thermapool can create the perfect pool, our experienced technical consultants are available to advise you on the ideal pool to suit your home and lifestyle needs.